Wisconsin Gov. Scott Walker appears with President Trump at a Foxconn facility opening in June. 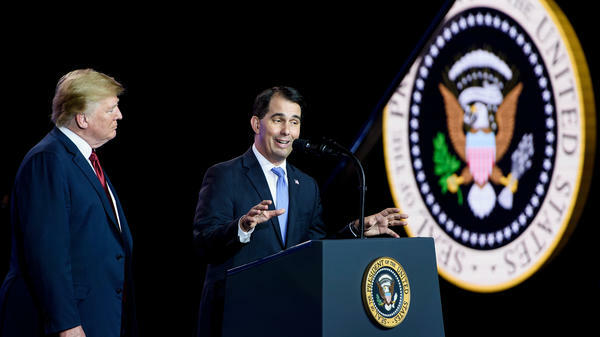 Walker's reelection bid could be in danger since his approval ratings fell after his failed 2016 presidential bid, which was quickly overshadowed by Trump's presence in the race. 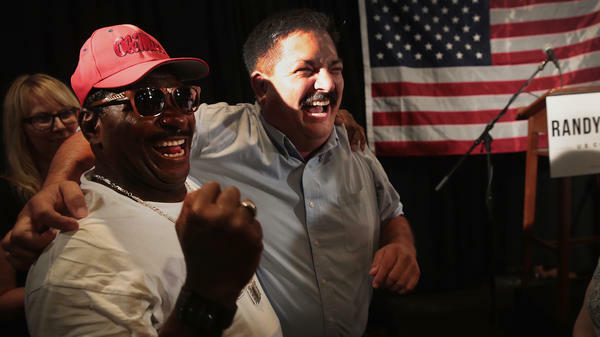 Democratic congressional candidate Randy Bryce celebrates his primary win with a supporter in Racine, Wis., on Tuesday night. Bryce will face Republican Bryan Steil for the seat being vacated by retiring House Speaker Paul Ryan. Jahana Hayes, the 2016 National Teacher of the Year, won the Democratic primary in Connecticut's 5th Congressional District. Hallquist, a former energy company executive, defeated three other candidates to win the Democratic nomination, but Scott won't be easy to beat, even in solidly blue Vermont. The GOP governor had enjoyed high approval ratings and the Cook Political Report still rates the race as solid Republican. Scott did see his approval ratings drop, though, when he signed a sweeping package of gun control measures — though that mainly came from within his own party, and is probably one reason he was only getting about two-third of the vote in the GOP primary. Polls show Scott still has good numbers among Democratic voters, though. 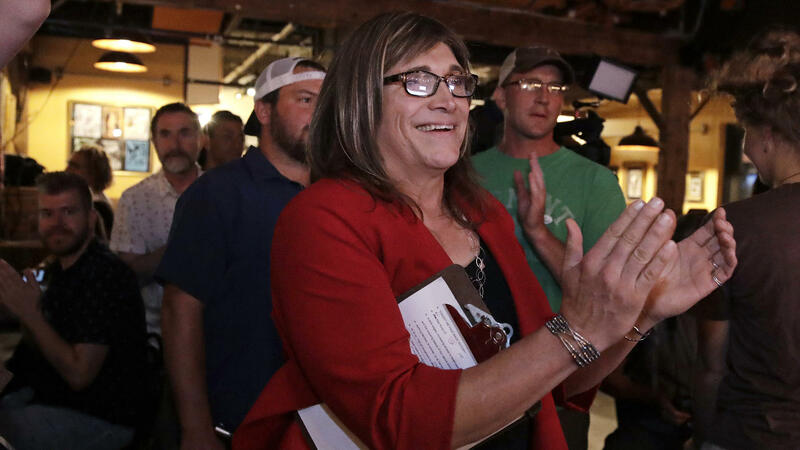 Hallquist easily defeated three Democratic opponents, including 14-year-old Ethan Sonneborn. Even though he wasn't old enough to vote for himself, Sonneborn ran for governor thanks a quirk in the state constitution that didn't set age requirements for the governor. Sen. Bernie Sanders also won the Democratic nomination for Senate, though the possible 2020 presidential hopeful plans to decline it again to run as an independent. Democrats also hope to unseat Republican Gov. Scott Walker in Wisconsin, and their nominee in that quest will be state Superintendent of Schools Tony Evers. An NBC News/Marist poll last month showed Evers beating Walker by double digits as President Trump's approval ratings have fallen in the state he carried in a surprise in 2016. Walker is trying to win a third term after having survived a 2012 recall election and won re-election in 2014. But his first election in 2010 and his re-election both came in GOP wave years. Now with momentum on their side nationally, Democrats think they can finally take out Walker, a polarizing figure in the state given his anti-union crusade. Walker has seen his own numbers drop in the state after his failed 2016 presidential bid. Another former GOP White House hopeful failed in his comeback bid, as former Minnesota Gov. Tim Pawlenty lost the state's Republican gubernatorial primary to 2014 nominee Jeff Johnson. Pawlenty, who made a short-lived presidential run in 2012, had been seen as the heavy favorite, possibly giving Republicans a chance to win back the seat of retiring Democratic Gov. Mark Dayton. Johnson will now face Democratic Rep. Tim Walz in the general election. Walz, who successfully defended a swing congressional district for years, defeated state Attorney General Lori Swanson and state Rep. Erin Murphy to secure the state's Democratic-Farmer-Labor Party nomination. In Wisconsin, Republican Bryan Steil and Democrat Randy Bryce will face off in November to succeed retiring House Speaker Paul Ryan in the state's 1st Congressional District. Steil, a businessman who had Ryan's endorsement, defeated several GOP candidates to win the nomination and will be the favorite this fall. Bryce defeated teacher Cathy Myers to win the Democratic nomination, and while the iron worker generated buzz last year with his populist announcement video that went viral, his past arrests, including one for a DUI, and delinquency on child support payments could hamper his bid. Wisconsin Republicans also chose state Sen. Leah Vukmir as their nominee to challenge Democratic Sen. Tammy Baldwin. Vukmir, who had the support of much of the state's GOP establishment, defeated Marine Corps veteran Kevin Nicholson. An NBC News/Marist poll in July showed Vukmir trailing Baldwin by 17 points. National Republicans — who face a tough congressional map across the country — see the possibility of congressional takeovers in some of the Minnesota races on the ballot Tuesday. The state's 1st District — vacated by Walz, who won the nomination for governor — and the 8th District, left open by Democratic Rep. Rick Nolan, who unsuccessfully ran for lieutenant governor — are both rural districts that Trump carried in 2016 by double digits. Minnesota Democrats nominated former Obama Defense Department official Dan Feehan in the 1st District. He'll face Jim Hagedorn, the party's nominee against Walz the past two cycles. In Minnesota's 8th Congressional District, Republican St. Louis County Commissioner Pete Stauber, who was endorsed by Trump, will take on state Rep. Joe Radinovich, who who won the Democratic primary and was the national party's preferred candidate in the tough district. Democrats have pick-up opportunities, too, in the Twin Cities suburbs. Freshman GOP Rep. Jason Lewis, who's come under fire for sexist comments when he was a radio host, will have a rematch with 2016 nominee Angie Craig. And in the 3rd District — which Hillary Clinton won two years ago — Republican Rep. Erik Paulsen will face Democratic businessman Dean Phillips. Minnesota Democratic Sen. Tina Smith easily won her primary as she pursues a full term. Smith, the former lieutenant governor, was appointed to fill the seat after Sen. Al Franken resigned amid allegations of sexual misconduct. Smith was challenged by former George W. Bush ethics lawyer Richard Painter, an outspoken Trump critic who decided to switch parties to run against her. But with about 35 percent of precincts reporting, Smith was winning with over three-fourths of the vote to Painter's 14 percent. She will be heavily favored over Republican state Sen. Karin Housley, who won the GOP nomination. Minnesota Rep. Keith Ellison also easily won the Democratic primary to be the state's next attorney general, defeating four opponents despite last-minute allegations of domestic abuse. Ellison, the Democratic National Committee's deputy chairman, has denied the allegations. The DNC told NPR on Tuesday that it is reviewing the allegations. Ilhan Omar, the first Somali-American state legislator in the country, won the Democratic primary for Ellison's seat in the heavily Democratic 5th District. When she was a child, Omar's family fled their country's civil war and spent several years in a refugee camp in Kenya before settling in the U.S.
She's now likely to join Michigan Democratic congressional candidate Rashida Tlaib, who won her primary last week, as the first two Muslim congresswomen in history. Republicans could see pick-up opportunities in Connecticut, too.  They chose wealthy businessman Bob Stefanowski, who campaigned as a conservative outsider, as their nominee for governor, and believe they have a shot given outgoing Democratic Gov. Dannel Malloy's sagging approval ratings amid a state budget crisis. Stefanowski will face Democratic nominee Ned Lamont, who garnered national attention in 2006 for defeating Sen. Joe Lieberman in the state's Democratic primary. In the general election, Lamont lost to Lieberman, who successfully ran as an independent. 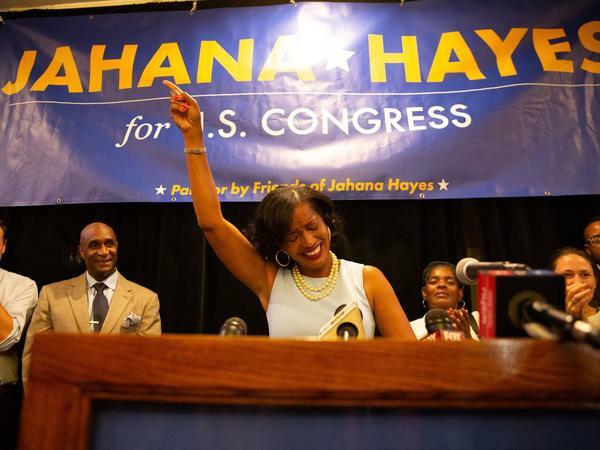 In the open 5th Congressional District, Connecticut Democrats nominated progressive Jahana Hayes, the 2016 National Teacher of the Year, over the Chamber of Commerce-backed Mary Glassman. Republicans chose former Meriden Mayor Manny Santos as their nominee. While Clinton only won this district by four points, national handicappers still rate the district as safe for Democrats. If Hayes wins, she'd be the first black woman to go to Congress from Connecticut.